The Antarctic Cataloguing Project has been very generously funded by the Esmée Fairbairn Collections Fund (EFCF), in association with the Museums Association. Last week I attended a networking day for people working on EFCF-funded projects – it was a great opportunity to find out more about the range of projects that are happening in museums across the country, and a chance to share our experiences, challenges and solutions. After introductions from everyone, the morning session consisted of a workshop on how to pitch a project with purpose, delivered by the MA’s Jess Turtle. Jess provided us with a really useful framework which emphasised distilling the project into a simple and compelling message targeted at a specific audience and is structured around outlining what you’re seeking funding for, why it’s important, why it’s different and what’s in it for the advocate. I’ve taken part in a similar workshop in another context (making the case for the support of traditional crafts for the Heritage Crafts Association) so it was a really useful consolidation exercise. The afternoon session featured presentations about three of the project: Jilly Burns of National Museums Scotland about the Pacific Collections Review project; Matthew Ball of Harris Museum and Art Gallery (Preston) about the Money Matters project; and Carol Christiansen of Shetland Museum and Archives about the Shetland Taatit Rug Project. There were lots of interesting and relevant points from all three, including the need to address the lack of subject specialist curators, the reality of balancing the all-important documentation with everything else, and the sustainability of the activities and outcomes of a project after funding runs out – something anyone who works in an organisation that is driven by and staffed by project funding will understand. What became very apparent throughout the day is that many projects end up taking longer than originally planned and that Esmée Fairbairn and the Museums Association are very understanding of this (phew – always good to know!). There is also another tendency for projects to grow and expand beyond their original brief which means that they don’t always come to neat and tidy conclusions – again, very reassuring in the context of the Antarctic Cataloguing Project. Perhaps the most exciting part of the day for me was meeting Nicola Euston of The Atkinson in Southport, which has a collection of objects belonging to Frederick J. Hooper, who took part in Scott’s British Antarctic Expedition 1910–13 (Terra Nova). Hooper originally joined the expedition as a steward with the ship’s party, but was later transferred to the shore party. 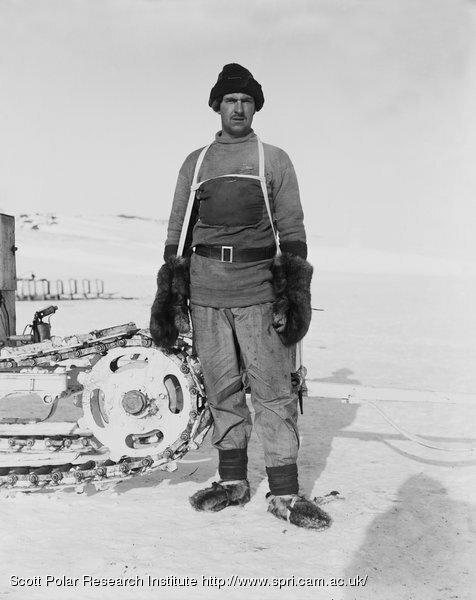 As well as taking part in the second ascent of Mount Erebus, he was also as a member of the search party that discovered the bodies of Scott, Wilson and Bowers in 1912. 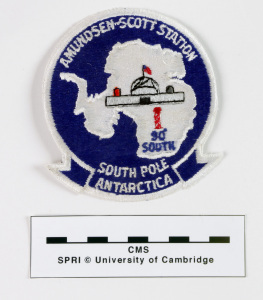 The Antarctic Cataloguing Project aims to cross-reference the collections in The Polar Museum with those in other national and international collections – so this was a really good start! Hello! My name’s Greta. I joined The Polar Museum at the start of November as Antarctic Project Cataloguer, having spent the past three years working at the Museum of English Rural Life (MERL) at the University of Reading, where I worked on a range of cataloguing and research projects – especially in relation to the traditional craft collections. I volunteered at The Polar Museum for a few weeks several years ago, so it’s really good to be back. The Polar Museum has received £99,386 from the Esmée Fairbairn Collections Fund for the Antarctic Cataloguing Project – a two year project to create a fully-researched online catalogue of the Polar Museum’s collection of material (approximately 3000 objects) relating to the science and exploration of Antarctica. I’ll be using photographic, archival and library material held by SPRI to contextualise the objects, and will also be cross-referencing the collections at the Polar Museum with comparable objects in national and international collections. Objects will be added to the online catalogue throughout the duration of the project, which is planned to coincide with the centenary of Shackleton’s Endurance expedition in 2017. It’s still very early on in the project, and I’m still trying to get to grips with what it is I’m actually going to be doing over the next two years and how I’m going to go about doing it. I’ve been spending my first few weeks getting to know the Institute and its collections and, most importantly for my work, understanding the object database (MODES), how it works and what we can do with it. There’s certainly a lot to be done in the project – describing, measuring, photographing and condition-checking the objects; carrying out research in the Archives and Picture Library to find out more about the objects, the people who used them and the expeditions they were used on; and bringing all of this together in the database in a coherent way! I’m hoping to blog regularly about the Antarctic Cataloguing Project, so please keep an eye on the blog to see how it’s all progressing.